Here is my book haul for the past 2 weeks. Lots of pretty covers, which I'm definitely a sucker for. I can't wait to get started on them all! I still need to read Divergent and Hourglass, but I'm hoping to get to them soon! What new books did you get this week??? Eeek! So excited to receive my Insurgent cover tomorrow :D Must start the Graceling and Hourglass series soon! 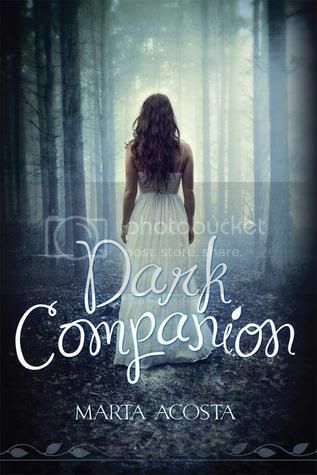 <3 Very curious about Dark Companion! Just realised that it was on my TBR already (forgot!) so I'll have to check it out some time later down the track ;) Hope you enjoy all of these books! Gorgeous covers, indeed. oh my gosh. those copies are so beautiful. deffo need the US version of insurgent. it was a pretty fantastic read. hope you enjoy them . happy reading! Looks like a great book haul for the past two weeks, Christy. :) I really need to check out The Sweetest Dark and Dark Companion. Both of those look like great books. Enjoy all of your new pretties! Ooh! The Sweetest Dark! I haven't been able to find anywhere to request that one. I can't wait to hear what you think! So, tell me, have you read Insurgent yet? So good! You can see my book haul here: Owl Tell You All About It & New to the Nest. Have a great Sunday, Christy! 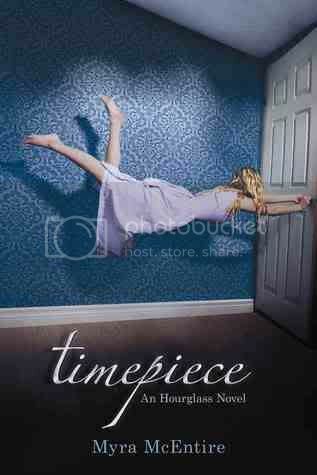 I am so excited about Timepiece. I have a few review books to read before it, but once I'm done with those, I'm diving in. I hadn't heard of The Sweetest Dark, but it sounds good. Glad you had a great week! I'm a sucker for pretty covers also! I haven't read any of those books but several are on my to-read list. Bitterblue, Insurgent AND Timepiece? Lucky girl! I hope you're enjoying your new books! I'm reading Bitterblue now and LOVING it! Timepiece is really, really amazing. I hope you love it. OOOh nice haul! I still need to read Divergent, but at least I have it in my insane TBR mountain, it just keeps growing! I can even make a dent into it! Swoon - Insurgent. Can't wait to get my hands on a copy of it!!! Dang! Some awesome books! Just finished Bitterblue--absolutely awesome. Great haul Christy :) !! I can't wait to know what you think of Divergent. I got a copy of Insurgent too and I can't wait to read it !! Happy reading !! AWESOME haul! I got Insurgent this week too. I hope you enjoy all your new books:) Happy reading. I hope you'll drop by and see what I got. Ooooh! You have to read Divergent ASAP and Insurgent so we can discuss. I hope you love both as much as I do. I haven't read the two previous books that go with Bitterblue but I am hearing so much about them I might have to. Dark Companion is in my book haul too and it looks really good. Hope you enjoy all these! i hadn't seen sweetest dark before, i've read some of her adult novels though and enjoyed them! PRETTIES! Yay Christy, you got some amazing, fab-looking books. I got TIMEPIECE from NG, too. As tempted as I am to clear my schedule and devour it... *sobs* I have a few other books to get to, first. You can check out what books I got this week Here! Hope you enjoy your new reads. A lot of great books, I hope you'll enjoy them all! Happy reading! Great haul! I really want to read Insurgent & Dark Companion! And Bitterblue & Timepiece once I read the previous books. Great haul! I'm really excited to read Insurgent & Dakr Comapnion. And Bitterblue & Timepiece once I read the previous books. I got Timepiece and Insurgent too! You definitely need to read both Divergent and Hourglass, both are so fantastic! Oh my gosh. DIVERGENT. GO. NOW!! It's on my all time FAVOURITES list and Insurgent manages to ramp things up evern MORE :o This series is seriously AMAZING. I need to read Fire soon so I can dive into Bitterblue - I loved Graceling! I got The Sweetest Dark this week aswell (cover is so gorgeous) very excited to read it. Hope it's good!